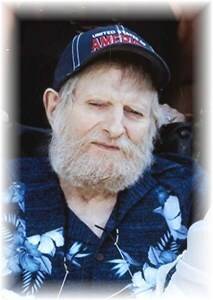 Michael R. Merrifield, 67 of Indianapolis passed away on June 14, 2018 with his family by his side. Mike was born on May 18, 1951 to Raymond & Maudie (Horton) Merrifield. Mike worked for Ulrich Chemical as a Truck Driver for 29 years. He enjoyed fishing, camping and spending time with his family. Mike is survived by his wife of 48 ½ years: Kathy I. (Jones) Merrifield; daughters and their spouses: Tina & Jerry Troutman, Cindy & Scott Troutman, Patty & Billy Larison; grandchildren and their spouses: Mikey Troutman, Tim & Brittani Merrifield, Jessica & Shane Davis, Steven & Trevor Johnson-Troutman, Scott Troutman Jr., Ryan Troutman, Tyler Larison, Katie Larison; great-grandchildren: Jayden Troutman, Aveah Troutman, Liam Merrifield, Shane Davis Jr., Kylee Nevers, Lydia Merrifield, Bentley Davis and a host of other family and friends. Mike was preceded in death by his parents; sister: Patricia Ann Merrifield. Visitation will be on Friday, June 15, 2018 from 5 P.M. until 8 P.M. at Newcomer - Indianapolis Chapel, 925 E. Hanna Ave., IN 46227. His Funeral Ceremony will be 11:00 A.M. on Saturday at the funeral home. Interment will follow at New Crown Cemetery. To share a memory of Mike or leave a special message for his family, please click the "Share Memories" icon above. Add your memories to the guest book of Michael Merrifield. Mike married my sister when I was only nine and I do not remember a time when he wasn't part of our family. He was my brother, not just my sister's husband. I will always remember the times he worked on my Ford Pinto, helped me around my home, and countless other things to make my life easier. I miss the days when I would provide the newspaper and Mike and Kathy would provide the coffee and we'd gather on their front porch to discuss and solve the world's problems. My heart breaks for Kathy, Tina, Cindy, and Patty. I will miss you, Mike. My memories of Mike are from grade school, to high school, to cutting school. Then there was working together, fishing together, camping together. He honored me by being his best-man at their wedding. But the most profound memory was when my oldest son Clinton fall backwards down the basement opening at their house and Mike in a split second jumped to the bottom and caught Clinton's head just before it hit the concrete. Saving him from serious injury, or death. Your purpose in this life is very clear to me.